Carpets are used for their soft fluffy surfaces. They help reduce noise and even act as an insulator that helps improve your home’s heating and cooling system. However, as many love carpets in their home they can be hard to take care of. There are a number of varying factors that can stain and damage carpet in your home. 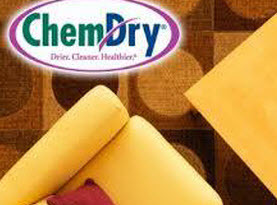 Heart of Texas Chem-Dry LLC will share the top carpet destroyers and how to help reduce their affects on the carpets in your home. Our beloved cats and dogs are one of the top carpet destroyers and not just because they may have their little accidents, but because they can also thin and mat up carpets. An estimated 25% of all carpet cleaning services involves carpet cleaning due to their pet’s accidents and the odor they leave behind. Both dogs and cats may, from time to time, have an accident. (Of course we must question cats—is it accident or intent?) 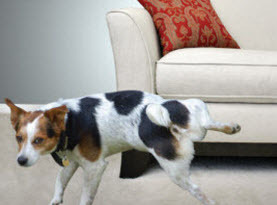 Pet urine can damage carpet in a short period of time. They can cause permanent stains and cause troubling odors. Additionally, the bacterium in the urine, which is responsible for the odors, damages the carpet fibers slowly, eating them away over time. If it not the urine, it is their claws. Their claws can damage the carpet, especially cats who love using carpet as a scratching post. Little children often have spills and have interesting ideas that also destroys carpets. They will often spill their drinks and snacks onto the carpet. Additionally, arts and craft time somehow makes it onto the carpet where they make leave glue, paint, and ink stains in the carpet. Cleaning up the carpet after kids is a never ending battle and one many are even losing. To help save your carpet make sure to keep arts and craft time as well as snack time at the kitchen table to help prevent a major carpet disaster. Carpet soiling is a term used when a lot of dirt or mud damages carpets. The dirt or mud can break up into small particles and get trapped in the carpet. What many don’t know is that as people and pets walk or play on the carpet, it shifts the dirt around until it literately breaks each fiber of the carpet. In high traffic places, carpet will develop a brownish or gray color and the carpet and it will begin to look thinner because it is. Carpet fiber slowly breaks off over time and when you vacuum, you’re sucking away your carpet little bits at a time. Do you live in an area where kids and pets can tracks in a lot of dirt? 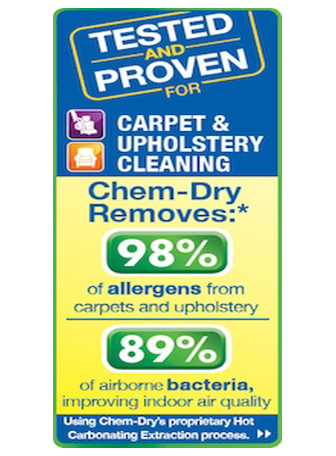 If so, then you must feel like your carpet is a goner. However, you can protect your carpet and prevent your carpet from getting destroyed prematurely. Carpets do need to be replaced eventually. However, with proper care they can last 10 years or more. It is important to vacuum your carpet at least once a week to remove dirt and the particles that can damage the carpets. Make sure to clean up pet stains and spills from kids right away, the sooner the better. Next is to have your carpet professionally cleaned. Each household varies, but on average carpet should be cleaned about every 6 months. 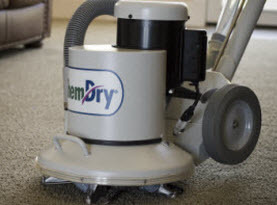 If you need help maintaining and protecting your home’s carpets, contact Heart of Texas Chem-Dry LLC and schedule our services today. How Often Should You Vacuum Your Carpet Using Proper Techniques in Lewisville, TX?